The cot death expert at the centre of a series of high profile cases against women accused of killing their babies is to face a professional conduct committee. The General Medical Council is to investigate allegations made against Professor Sir Roy Meadow which could affect his "fitness to practise". Professor Meadow was an expert witness in the trial of Angela Cannings, whose conviction for murdering her two sons was overturned last week. His evidence was also used in the high profile prosecutions of Sally Clark and Trupti Patel. Mrs Clark's 1999 conviction for murdering her two baby sons was overturned in February, while Mrs Patel was cleared of killing her three babies in June. Calling for an inquiry into other cases involving Professor Meadow, Labour MP Vera Baird said it could be that other families have been separated and women jailed because of unreliable evidence from him. She welcomed the hearing, but added: "It does not take away the need to concentrate on the impact that his evidence has had in cases for the last 15 or 20 years." Jill Chambers, a friend and supporter of Angela Cannings, said: "Not only has he put Angela in prison, but he has put other ladies in prison and there are still ladies in prison. "He has taken children away from families as well." Shadow health minister Tim Loughton said: "This is a deeply worrying situation. We urgently need to know how many other cases will potentially be affected." After Mrs Cannings was cleared the Attorney General began a review into several other cases involving child deaths. 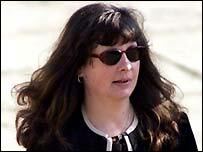 Mrs Cannings, a 40-year-old shop assistant from Salisbury in Wiltshire, was jailed for life in April 2002 for murdering seven-week-old Jason in 1991, and 18-week-old Matthew in 1999. The Court of Appeal overturned the decision, saying it was unsafe. Mrs Cannings had always maintained that her two boys died of Sudden Infant Death Syndrome (SIDS), or cot death, as had her first child, Gemma, who died at the age of 13 weeks in 1989. Her lawyer, Michael Mansfield QC said that were the trial to take place now, "it is unlikely the Crown would call Professor Meadow as a witness, or, if they did, it would have to be done with a health warning attached". In January, solicitor Sally Clark, who had been jailed for murdering her two baby sons, was cleared by the Court of Appeal. And in June, 35-year-old pharmacist Trupti Patel was cleared of murdering her three babies, by a jury at Reading Crown Court. The GMC said its preliminary proceedings committee considered allegations against Professor Meadow on Wednesday. The claims against him have been referred to a public hearing of the professional conduct committee, likely to be held in the second half of next year. The body said its investigations into the allegations would continue and so no further information could be given. 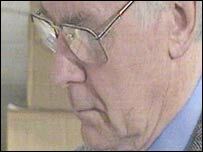 The 70-year-old was knighted in 1998 for his paediatric work. He is known for his observation that "one sudden infant death is a tragedy, two is suspicious and three is murder, unless proven otherwise". "It's the third time this year that the courts have freed women accused of killing their babies"